Losing a loved one is tragic and heart-wrenching, no matter the circumstances. Losing them due to suicide simply adds to the grief with additional questions and uncertainty. With about 44,965 suicide deaths in the U.S. annually, according to the American Foundation for Suicide Prevention, you are not alone in this tragedy. Especially if the deceased had a family, as soon as the initial shock fades, thoughts quickly head into the financial. How will the family left behind get by? Did the deceased have life insurance coverage? And if they did, can their family still receive a payout? Life insurance is one of the best ways to ensure the financial security and protection of your family in the event of your passing. Once covered, the far majority of families can expect to receive the full intended death benefit—no matter the reason. However, there are a few exceptions. One of these exceptions is death due to suicide, typically called the “suicide clause.” This means that within the first two years of coverage (though it’s sometimes less or more), if the policyholder is determined to pass away due to suicide, their family won’t receive a payout. Instead, they will only receive the sum of the monthly premiums already paid to the insurance company. You may be wondering why a family would be penalized due to the way their loved one died. Isn’t a death a death? It may seem cruel for an insurance company to deny benefits to a family dealing with the loss of a loved one for any reason, but the suicide clause was put in place ultimately to protect them. Essentially, there is a fear that if an entire life insurance policy could be paid out immediately, policy holders in deep financial hardships might choose to end their life so their family could receive the monetary benefits. Even if someone’s family isn’t in a desperate financial situation, if someone is struggling with suicidal thoughts, finding any “benefit” to ending their life may be enough to push them over the proverbial edge. Insurance companies want to minimize this risk as much as possible. By requiring two years to pass after securing coverage, life insurance companies have less fear that the intent of getting insured was to provide a payment via suicide. Two years also provides more time for a suicidal loved one to get the help they need before a possible pay out. 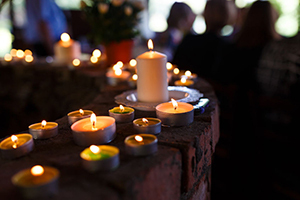 It’s often very apparent if a loved one passes away due to suicide. However, sometimes the actual cause of death can be fuzzy. So, what happens in more complicated cases like these? Sometimes, an insurance company will challenge the legitimacy of the claim and conduct a more rigorous investigation into the manner of death. If it’s determined to be a suicide and it’s been less than two years, their family likely won’t receive a death benefit. However, some accidental deaths may be labeled as suicide as well. This can occur when the manner of death was considered reckless, such as being due to driving under the influence or overdosing on drugs or alcohol—especially if you failed to disclose this risky behavior when securing life insurance. Other accidental deaths can cause the life insurance policy to be voided if the policyholder failed to disclose exceedingly dangerous activities, mental illness diagnoses, or other health issues while applying for the policy. This is one reason why it’s essential to be honest when securing life insurance. Yes, it might mean a higher monthly premium, but it’s better than taking the risk of your loved ones not receiving financial support when they need it most. For example, if the deceased was an avid skydiver and they passed away from a skydiving accident but never told the insurance company of their hobby, their policy could be labeled fraudulent. A policy can also be labeled as fraudulent if the deceased failed to disclose a medical history of depression, previous suicide attempts, or the taking of medication to treat mental illness. According to the CDC, about 46% of those who died by suicide had been previously diagnosed with some form of mental illness, making this disclosure essential when initially applying for life insurance. My Loved One Died By Suicide—What Do I Do Now? Even if you’re quite certain you won’t receive a payout from your loved one’s individual life insurance policy, always contact the insurance agency ASAP. You are still likely eligible to receive all previously paid premiums. You may also be surprised and still receive the full payout. If you’re unsure of eligibility, or believe you are eligible, file a claim immediately. Believe it or not, life insurance companies aren’t out to deprive families of legitimate payouts and the far majority of families do receive money. However, the sooner you get the ball rolling, the better. If your loved one was part of a group life insurance policy—often through their employer— suicide clauses are rare. For the far majority of those on group life insurance policies, their loved ones will receive a death benefit, no matter the manner of death. If you are having suicidal thoughts, you are not alone. Please seek help by calling the National Suicide Prevention Lifeline at 1-800-273-TALK (8255) or even live chat with a counselor online. No amount of money can ever replace you in your family’s life.